It’s quite possible we could see Tebow continue to play baseball during the week in the fall, then appear on SEC Nation on Saturdays. That’s what happened last year, with the Mets providing permission for Tebow to fulfill his ESPN duties on weekends. They seem content to have him take days off for ESPN work, and ESPN seems content to use Tebow when he’s available. If neither side’s going to make him choose, we may have several years of Tebow split between playing baseball and providing college football analysis. It’s notable to see ESPN keep Tebow around despite his other obligations, and that perhaps speaks to both his talent and his popularity. Tebow has won lots of plaudits for his broadcasting work so far and has been a particularly good fit for SEC Nation, but ESPN doesn’t have too many people who are committed to other jobs. The Mets have been quite flexible with Tebow’s ESPN work, though, and it’s worth mentioning that he’s not your average analyst; Tebow has a massive fan base. Of course, things may change before the fall, and this may not be as much of a split. Tebow has been doing a bit better recently, hitting .294 in his last 10 games, but his overall slash line of .242/.330/.363 isn’t screaming to move him up from single-A. It’s possible he eventually gets tired of life in the minors and decides to focus full-time on his ESPN work, perhaps gaining a larger role in their college football coverage in the process, and it’s also possible he leaves baseball to do ESPN and other things, such as his charity work or his appearances on Good Morning America. 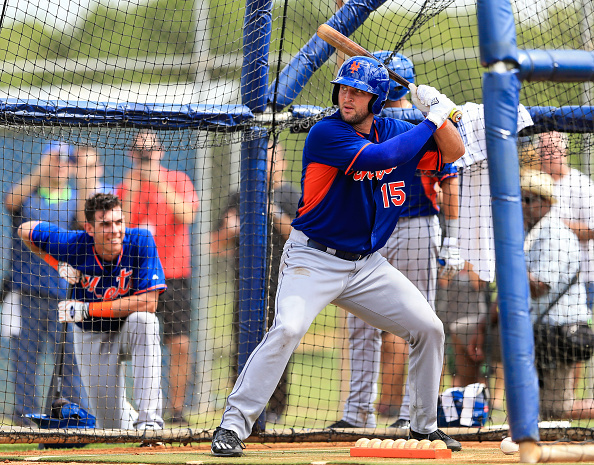 It’s also conceivable, albeit unlikely, that Tebow starts moving up in the Mets’ organization and is asked to devote more time to baseball and leave ESPN behind. For now, though, it looks like his baseball and ESPN split career will continue as before.